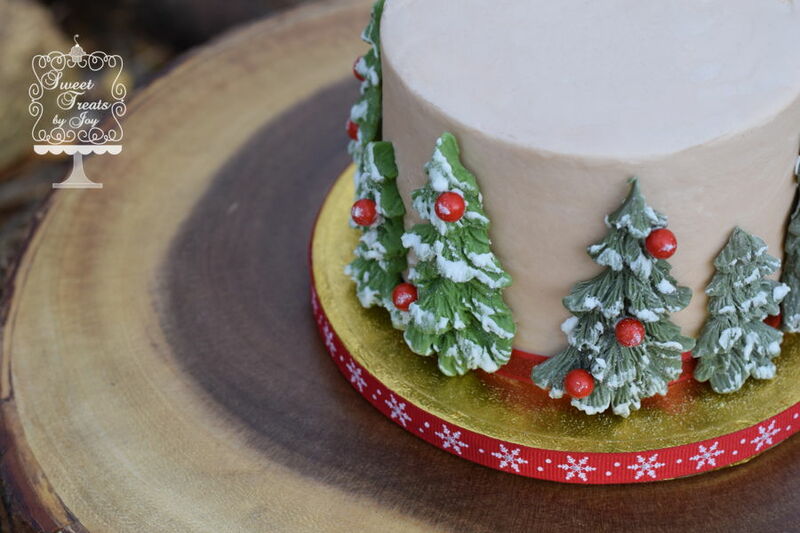 Cake was covered in buttercream. 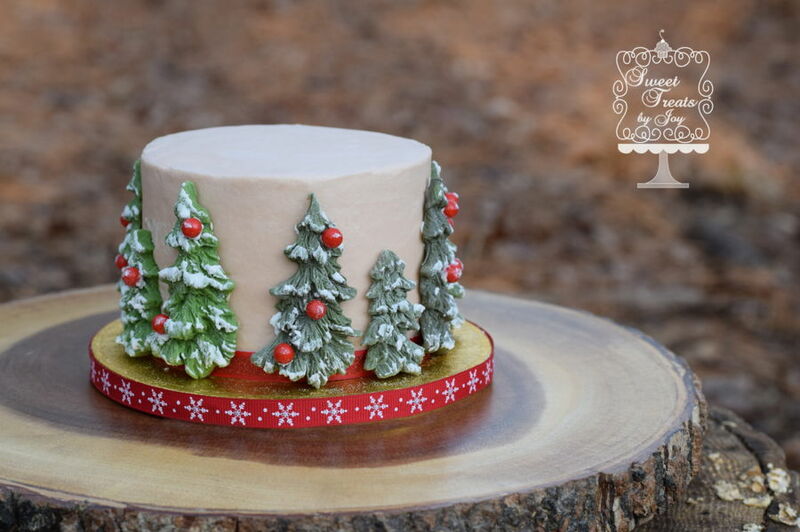 The trees are made from modeling chocolate and an evergreen tree mold. Red dragees were used for the ornaments. Super cute! Could you please tell me where you found your tree molds? Thanks so much! Thank you so much! I purchased the molds from www.firstimpressionsmolds.com. You can search for "evergreen" or "trees" and the mold should come up pretty easily. Best wishes!